Catherine Nelson will always be the enemy to Patrick Shaw. She stole his dream when she purchased Beltene, the most famous horse breeding farm in Ireland—a farm Patrick worked a lifetime to build. 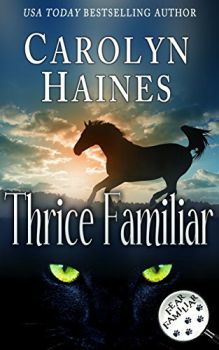 When Catherine turns over the training of Limerick, a stallion Patrick raised, to a “win at all costs” trainer, Patrick knows the horse is in danger. But the green-eyed, upper-crust, she-devil won…t listen to reason. Limerick is stolen and Patrick is the prime suspect in the crime. 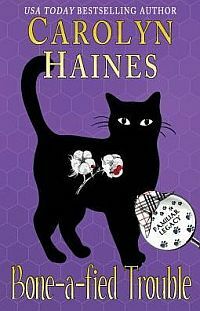 When it seems all hope is lost, Familiar, the black cat detective, steps into the middle of the case. He has to find the truth before a terrible injustice occurs and before another beautiful racehorse is crippled and ruined by a ruthless trainer. Originally publised December 1993 in Harlequin Intibue #256 as part of the Fear Familiar Mystery series in mass market paperback.